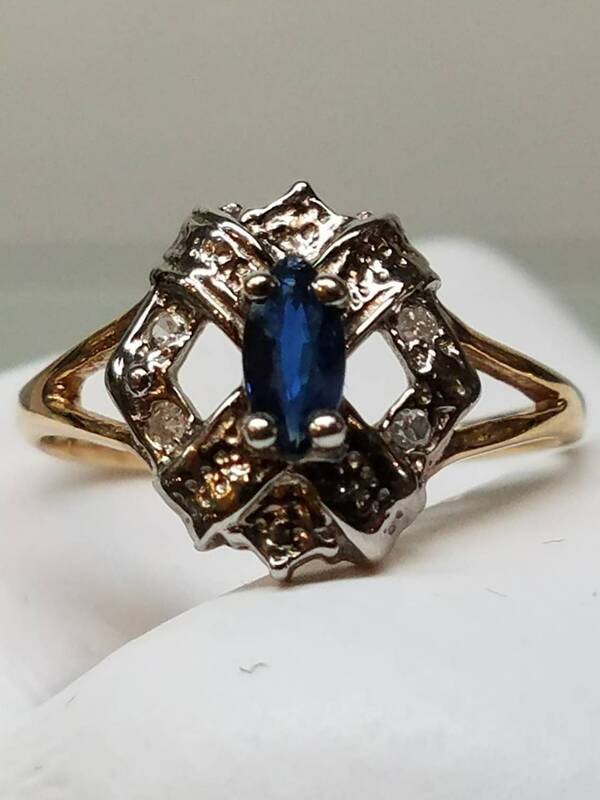 This fantastic 2-Tone vintage ring features a center blue sapphire set in 10K white gold, with a 10K yellow gold band. 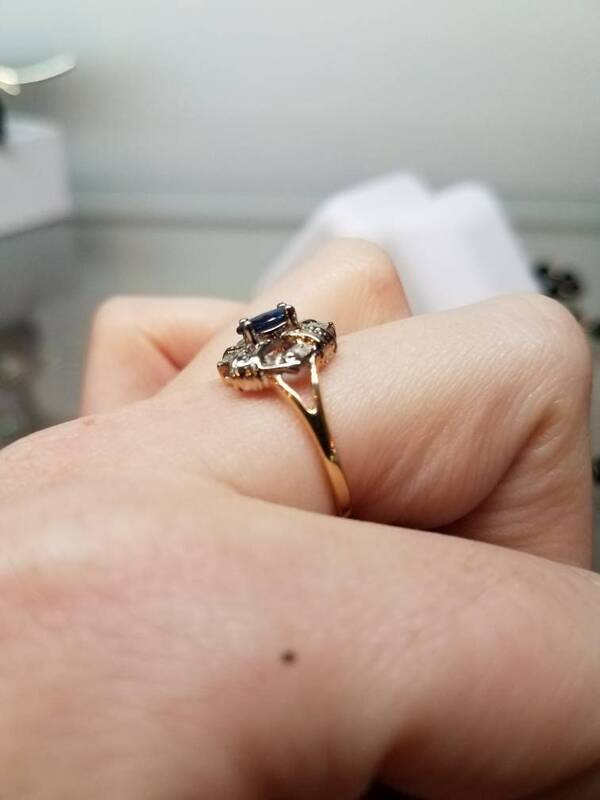 There are two white sapphires set on each side of the center stone. 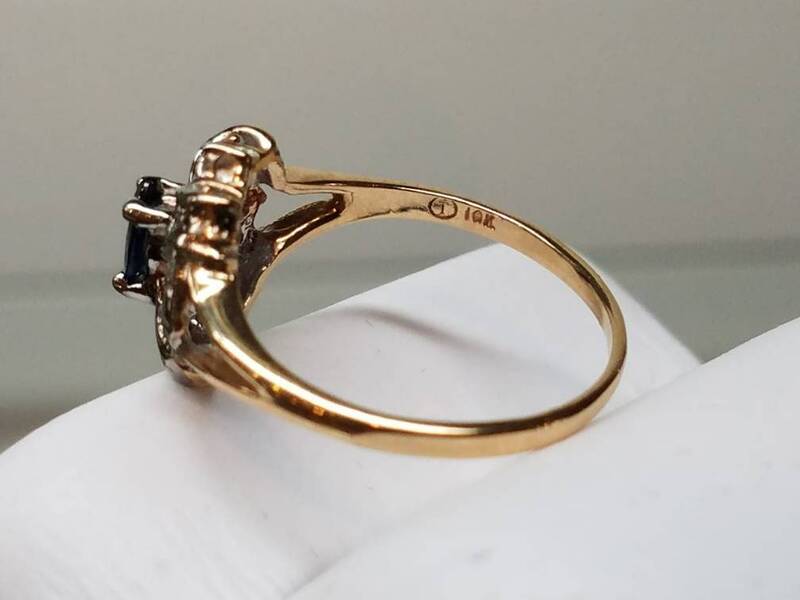 The blue sapphire measures 5mm by 3mm. 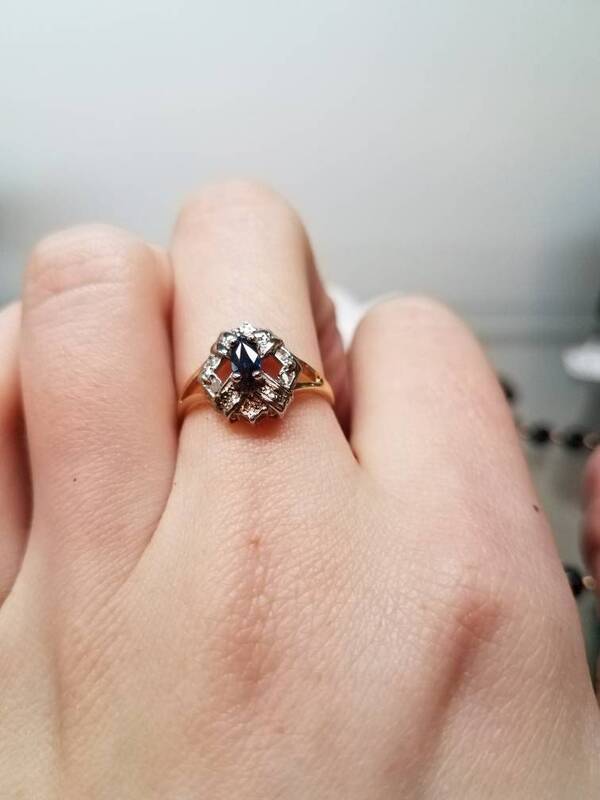 This ring is a size 6.75.